A large muscular body, a sizable head, and a temperament that fits right into the family atmosphere, Cane Corsos have quickly risen to notoriety among dog lovers and is now a recognized breed by the American Kennel Club. Sometimes mistakenly called a King Corso, Cane Corsos, which is pronounced KAH-NAY KOR-SO, have a name that literally translates into “Guardian,” and it is for good reason. The dog is by nature a fierce protector, but this gentle giant is loyally devoted to its owners and highly intelligent. At Red Rock Canyon Cane Corso, we get the privilege of working with these dogs every day as Cane Corso breeders, and it is our goal to make sure we provide puppies with the absolute best lineage possible for prospective owners. 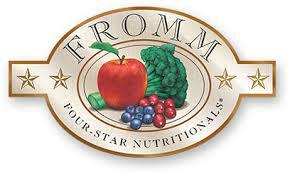 It is our goal to ensure every puppy that comes from us is a prime example of the breed. We have limited litters of Cane Corso puppies every year because our breeding processes are so meticulous. Our Cane Corsos can never be deemed as ordinary—they are majestic, extraordinary animals with a beautiful stance and a loyal dedication to their owners. 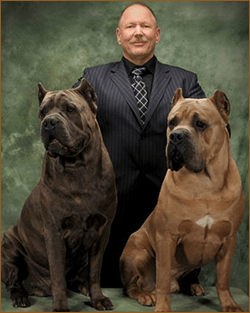 We are well known in the Corso world as noteworthy Cane Corso breeders who produce top-quality dogs with both desirable breed attributes and a documented strong ancestry. Our Corsos have made their way to a multitude of show arenas, working competitions, and several dog championships. 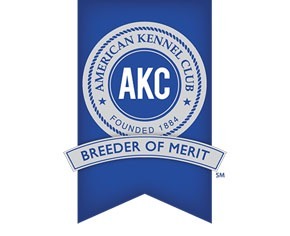 Not only are we recognized by top canine organizations, we are well-known by our customers, outside prospective breeders, and the local community because of our dogs. We have been in the business of breeding Cane Corso dogs since 2003 when we obtained our very first Corso, Thor. We have more than a decade of esteemed experience and our dog family has grown over the years. Apollo, perhaps one of the most widely-recognized Corsos globally who unfortunately passed away in 2016, has contributed to many puppy litters all over the world. We currently have six magnificent Corsos in our home, and many others who have made their way to the homes of others. Our puppies are in such high-demand, the new litters often go really fast, so if you’re interested in bringing one of Red Rock Canyon’s Corsos into your home, you must fill out a puppy application as soon as possible. We do not accept deposits early, as we prefer to wait until puppies arrive before promising. We have been blessed with an incredible interest in our dogs so we always have much more of an interest than available puppies. Take a look around our site, see pictures of our dogs and available puppies, and get to know us at Red Rock Canyon Cane Corso. We’re glad you’ve found us and we hope we can help you find your new loyal family member in one of our dogs.